Christian Pilgrimages were first made to sites connected with the birth, life, crucifixion and resurrection of our Lord. Remaining descriptions of Christian pilgrimages to the Holy Land date from the 4th century, when pilgrimage was encouraged by the early fathers of the Church like Saint Jerome. 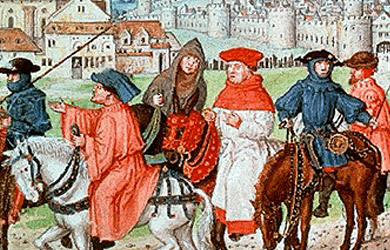 Pilgrimages or holy journeys also began to be made to Rome and other sites associated with the first Apostles, saints and maryrs or witnesses to Christ as well as to places where there have been apparitions or appearances of the the Blessed Virgin Mary. The crusades to the Holy Land were considered to be a kind of military pilgrimage. The second largest single pilgrimage in the history of the Christian story was to the funeral of the late Pope John Paul II after his death on 5 April 2005. 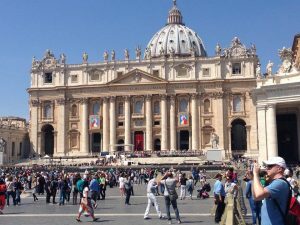 An estimated four million people travelled to St Peter’s Basilica, Rome, in addition to the almost three million people already living in Rome, to see the body of the Holy Father lie in state. -Jerusalem, site of the Passion and Resurrection of Jesus. -Bethlehem, birthplace of Jesus and King David. -Sea of Galilee, site of Jesus’ early ministry. 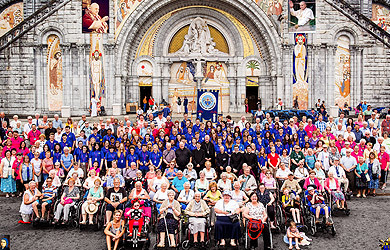 World Youth Day is a major Catholic Pilgrimage, specifically for people aged 16-35. It is held internationally every 2-3 years. In 1995, the largest gathering of all time was to World Youth Day in Manila, Philippines, where four million people from all over the world attended. Rome, Site of the glorious martyrdoms of Saint Peter, Saint Paul and other early martyrs who spread the Gospel and layed down the faith we know and cherish today. It is the location of relics of various saints, relics of the Passion, important churches. and provides much of the foundation to our rich and glorious tradition, and so is heart of the Roman Catholic Church.Constantinople (today Istanbul, Turkey). 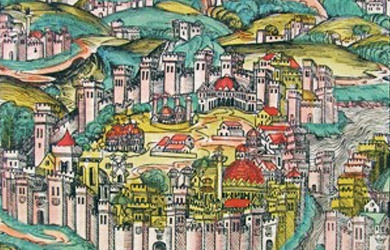 Former capital of the eastern sector of the Roman Empire and later the Byzantine Empire and the see of one of the five ancient Patriarchates and first among equals among the Patriarchs of the Eastern Orthodox Church. Hagia Sophia, former cathedral and burial place of many Ecumenical Patriarchs. 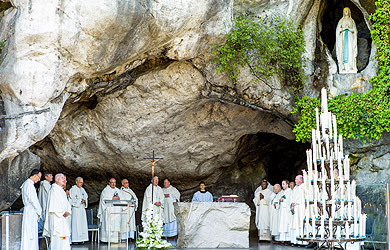 Lourdes, France – the place where we mark several apparitions of Our Lady to St. Bernadette. 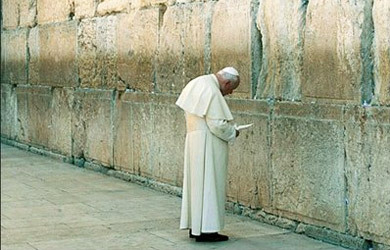 This is the second most popular Christian pilgrimage site after Rome. Our own diocese undertakes an annual pilgrimage here. 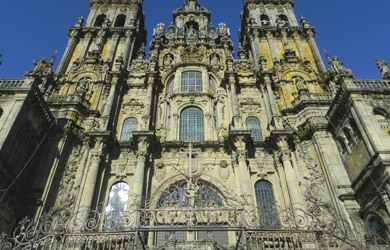 Santiago de Compostela in Galicia (Spain) on the Way of St James (Galician O Camiño de Santiago). This famous medieval pilgrimage to the shrine of Saint James is still popular for walkers today. Many of whom still follow the ancient routes from Cluny, living in temporal poverty on route. 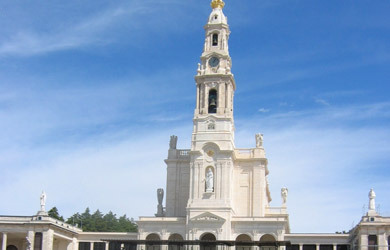 Fátima, in Portugal we honour Our Lady of Fatima. Patroness of Portugal. She appeared to three shepherd children at Fátima on the 13th day of six consecutive months in 1917. Chartres, is at the centre of the religious history of France. Since Roman times, to the present day, the shrine has not ceased to attract pilgrims from the most distinguished (all the kings of France) to the most humble. During the Merovingian and early Carolingian eras, the main focus of devotion for pilgrims was a well, known as the Puits des Saints-Forts, or the ‘Well of the Strong Saints’, into which it was believed the bodies of various local Early-Christian martyrs had been tossed. By the end of the 12th century however, the church had become one of the most important popular pilgrimage destinations in Europe. There were four great fairs which coincided with the main feast days of the Virgin: the Presentation, the Annunciation, the Assumption and the Nativity. The fairs were held in the area administered by the cathedral and were attended by many of the pilgrims in town to see the cloak of the Virgin. 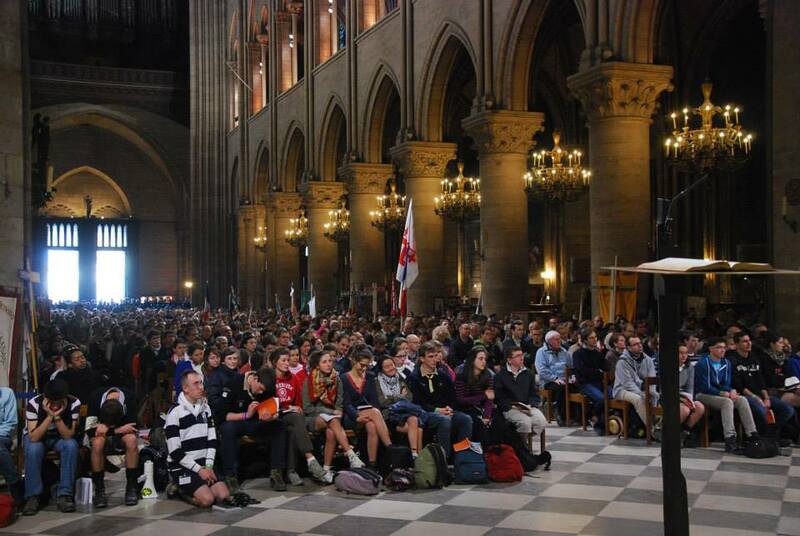 Today, Chartres continues to attract large numbers of pilgrims, many of whom come to walk slowly around the labyrinth, their heads bowed in prayer – an entirely modern devotional practice but one which the Cathedral authorities accommodate by removing the chairs from the nave once a month. 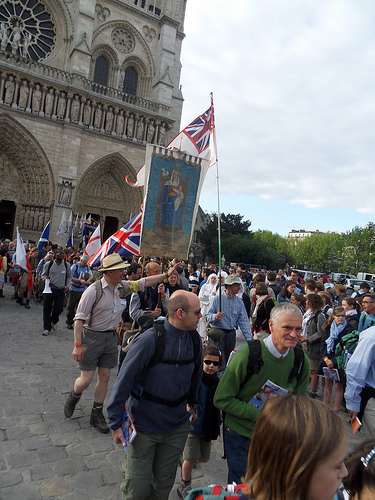 Also many pilgrims take part in the traditional pilgrimage walk between Chartres and Notre Dame, Paris. Walsingham, the Shrine of Our Lady at Walsingham was established in 1061 when, Richeldis de Faverches prayed that she might undertake some special work in honour of Our Lady. In answer to her prayer, the Virgin Mary led her in spirit to Nazareth, showed her the house where the Annunciation occurred, and asked her to build a replica in Walsingham to serve as a perpetual memorial of the Annunciation. 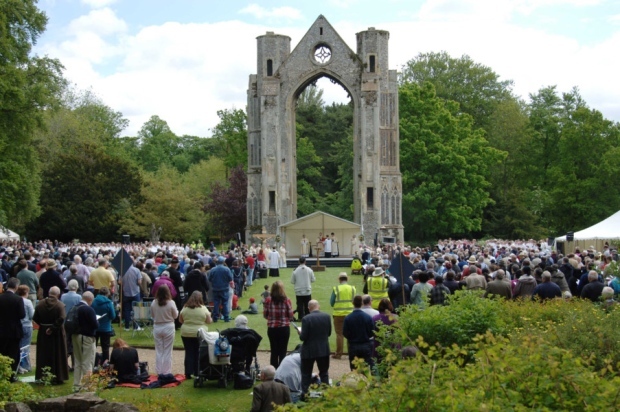 Walsingham became one of the greatest Shrines in Medieval Christendom. 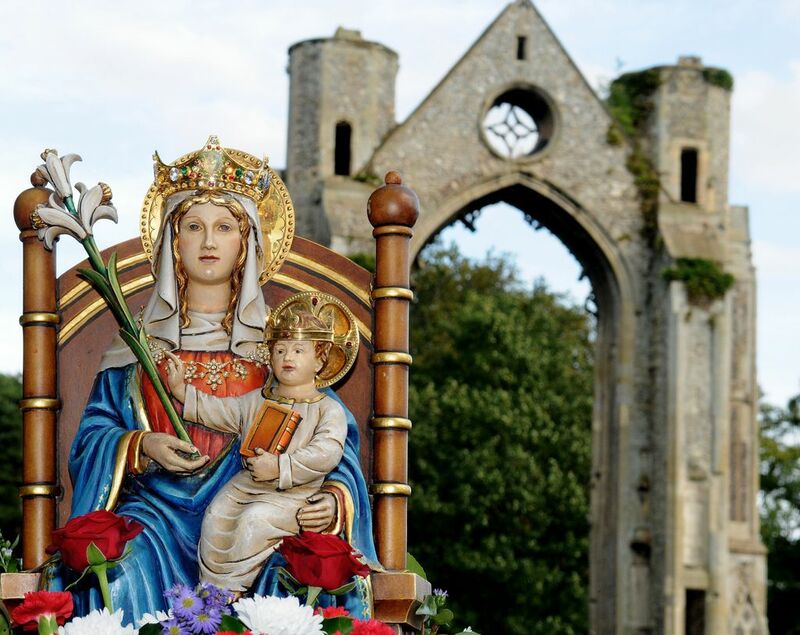 In 1538, the Reformation caused the Priory property to be handed over to the King’s Commissioners and the famous statue of Our Lady of Walsingham was taken to London and burnt. Nothing remains today of the original shrine, but its site is marked on the lawn in “The Abbey Grounds” in the village. 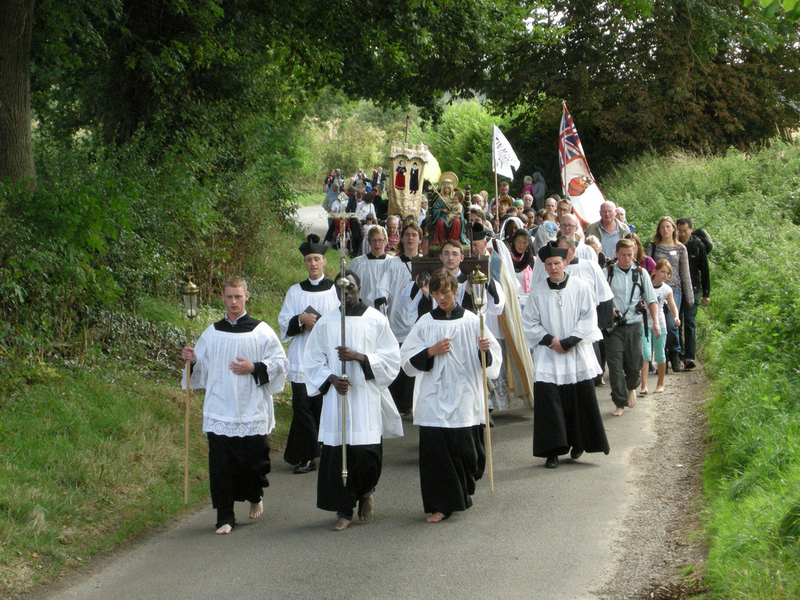 After the destruction of the Shrine, Walsingham ceased to be a place of pilgrimage. Devotion was necessarily in secret until after Catholic Emancipation (1829) when public expressions of faith were allowed. In 1896 Charlotte Pearson Boyd purchased the 14th century Slipper Chapel, the last of the wayside chapels en-route to Walsingham, and restored it for Catholic use. In 1897 by rescript of Pope Leo XIII, the sanctuary of Our Lady of Walsingham was restored with the building of a Holy House as the Lady Chapel of the Catholic Church of the Annunciation, King’s Lynn.